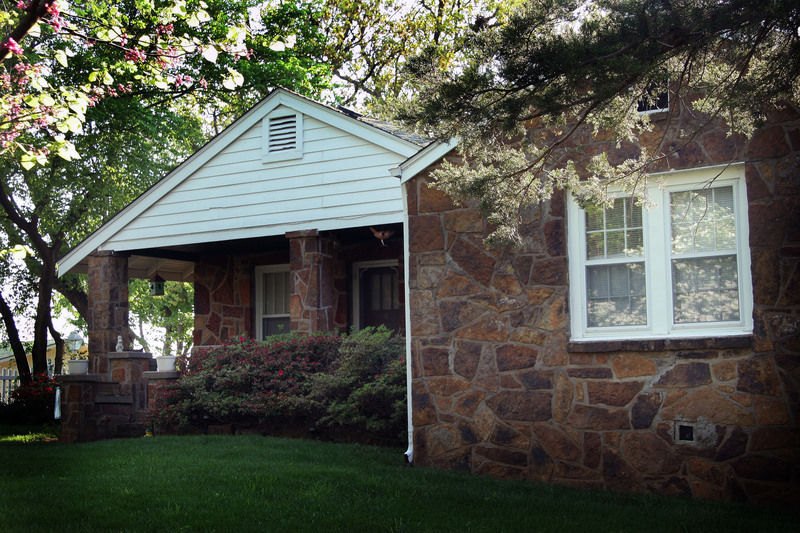 Situated in a secluded, wooded area, Andersonville Cottage is the perfect getaway spot for a romantic holiday. 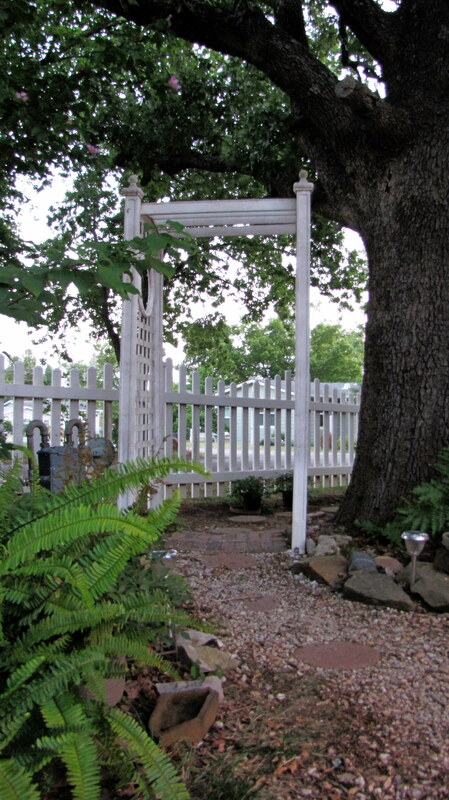 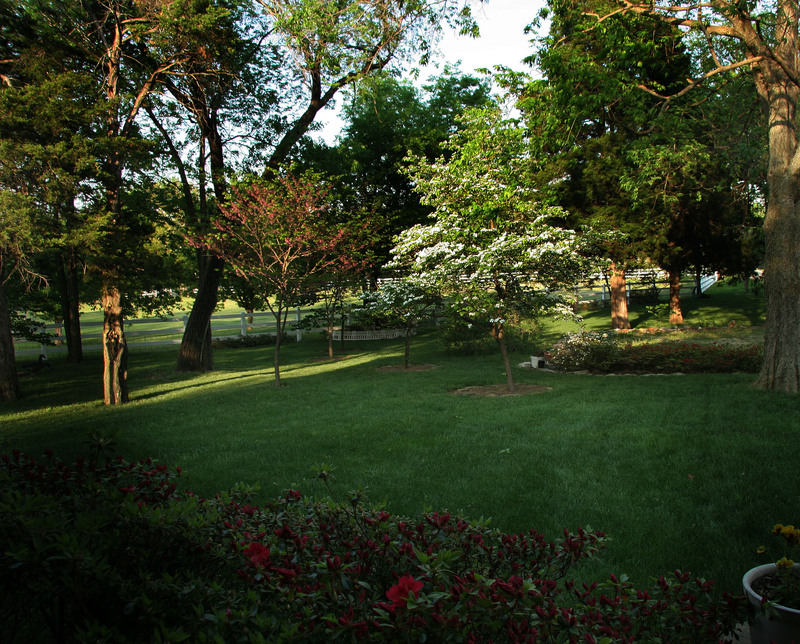 Guests can enjoy strolling in two shady acres of gardens. 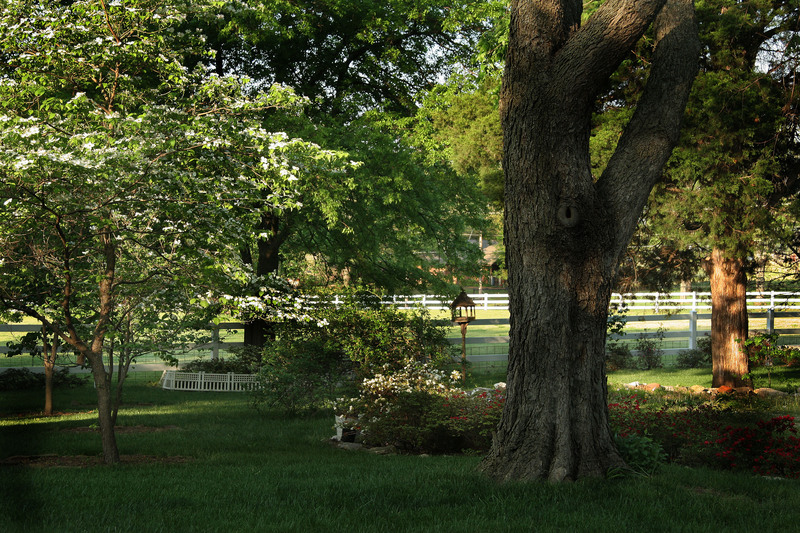 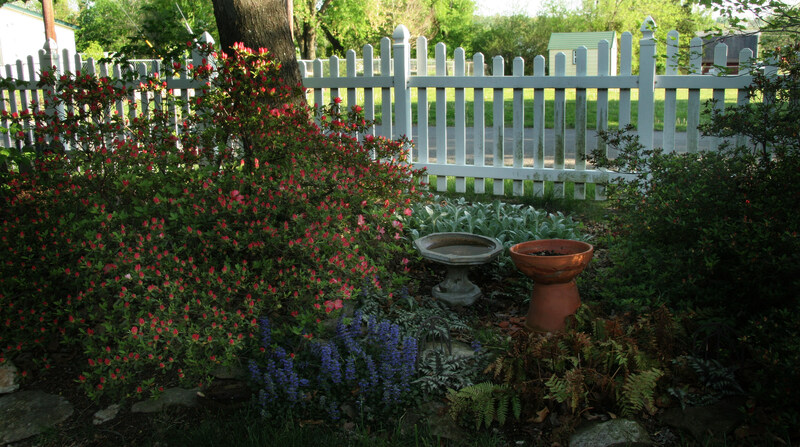 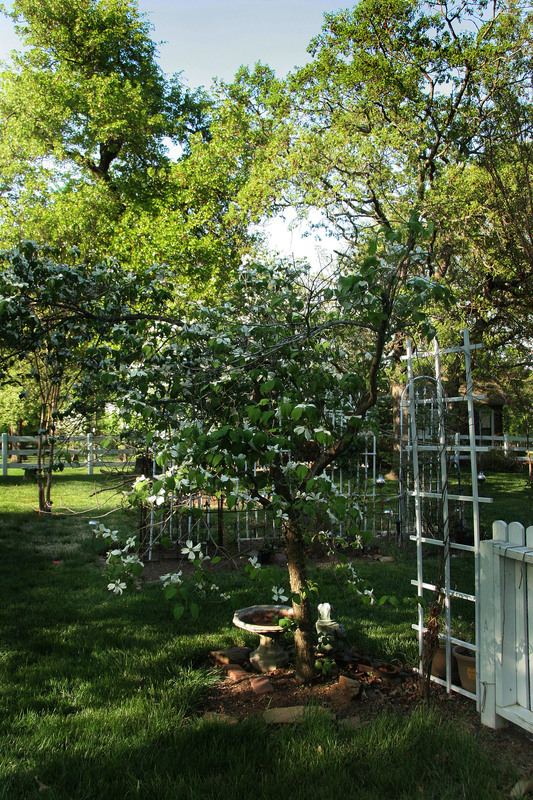 In the spring the yard is bright with dogwood, azalea, and spirea blossoms. 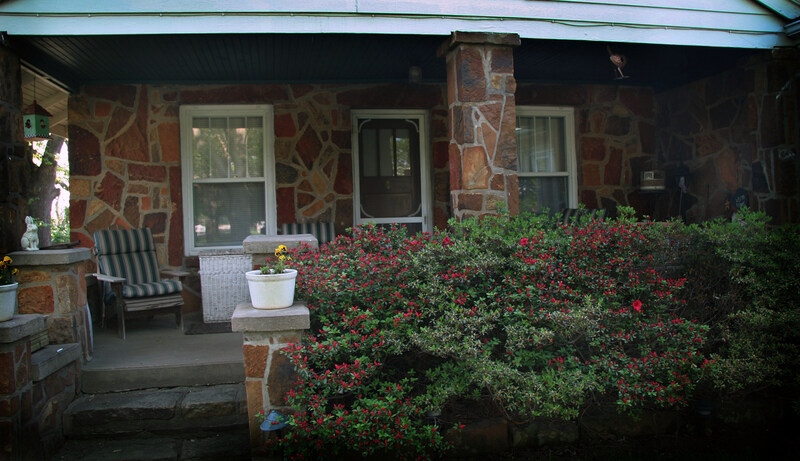 Enjoy tea or coffee on the front porch while watching the abundant wildlife. 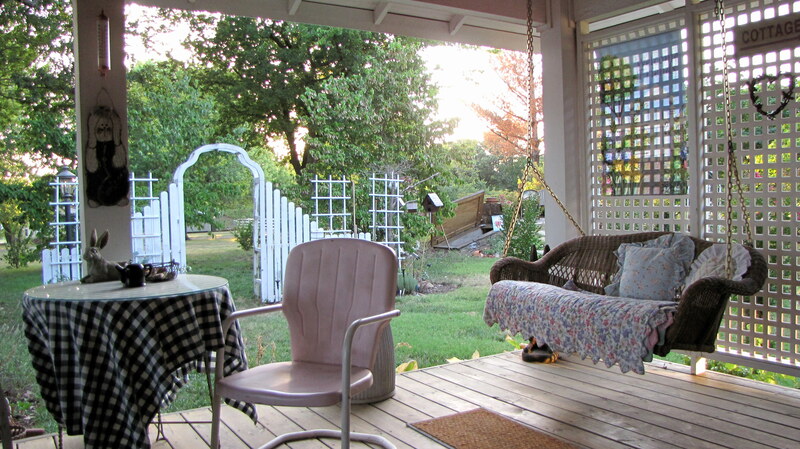 The verandah out back has a hanging swing, chaise, and chairs- great for contemplating the beauty of the sunset! 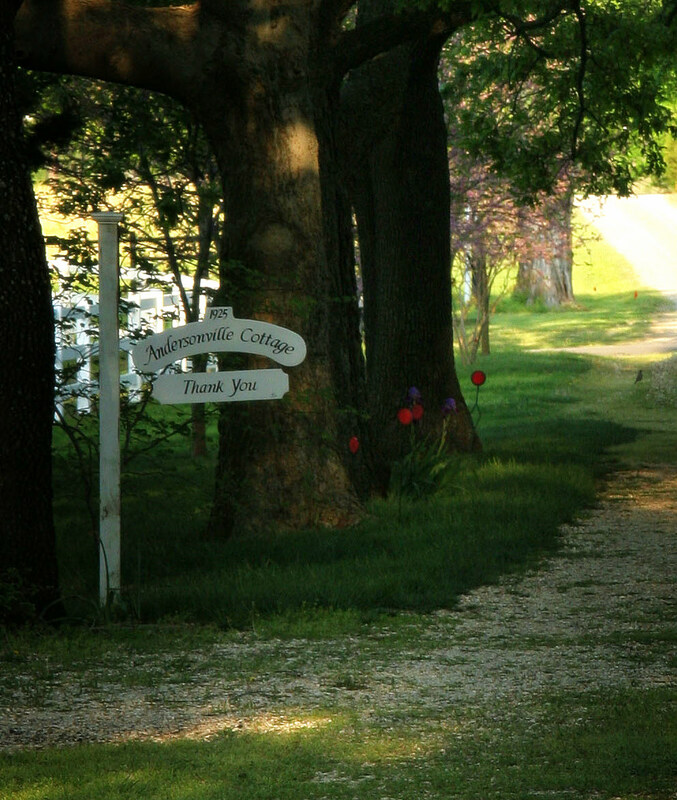 Lovely landscaping and quiet seclusion beckon visitors outdoors.